1 Bedroom Flat For Sale in Bushey for Offers in the region of £250,000. 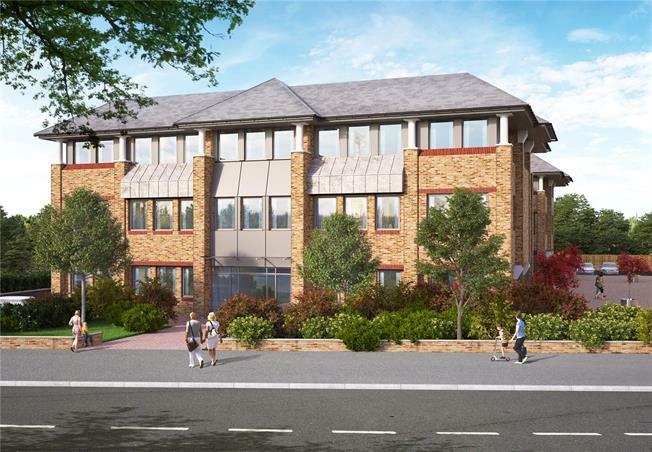 A development comprising 62 One & Two Bedroom apartments and situated in a great location close to the local shops and facilities of Bushey and Watford's Intu shopping centre being within easy reach. There are also excellent transport links via Bushey rail station to London and the surrounding areas. Each apartment benefits from a contemporary integrated Kitchen, stylish Bathrooms and Ensuites, flooring throughout and fitted wardrobes to Bedrooms. Bosch washer/dryer. Wine coolers in selected apartments. - Bathrooms with contemporary white sanitaryware, mirrored, recessed vanity unit with timber surround, integral light and chrome shaver socket. Glass shower screen. Wall hung basin. Chrome fixed head shower plus handheld spray attachment. Chrome thermostatic bath/shower mixer. WC with dual flush concealed cistern and soft close seat. Chrome heated towel rail with programmable timer. flooring. Carpeted Bedrooms. Ceramic tiled bathrooms. - Video entry phone system to all apartments. car park and visitor parking bays. - CCTV to common areas. Freeview (services may require subscription). Pre-wired for high speed broadband (service may require subscription). Quadplex media plates to Lounge and Bedroom. Lounge pre-wired with data network cabling. USB charging on selected power sockets. - High quality aluminium double glazed windows. Internal doors with oak veneer. - Fitted wardrobes to Bedrooms. - 10 year new build warranty. The town of Bushey benefits from well connected train links via both Watford Junction and Bushey stations offering fast trains to London Euston. There is also excellent access to both the M1 and M25 motorways. The town of Bushey boasts a wealth of restaurants, cafes and small niche shops with Watford's Intu Shopping Centre just a short distance away. Bushey is also surrounded by countryside with golf courses and recreation parks close by.